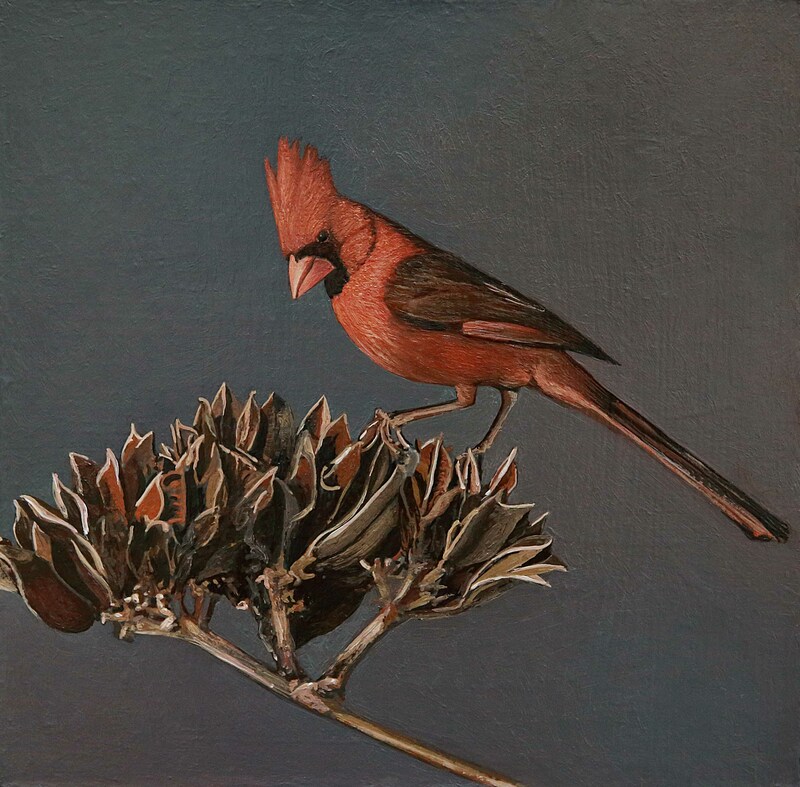 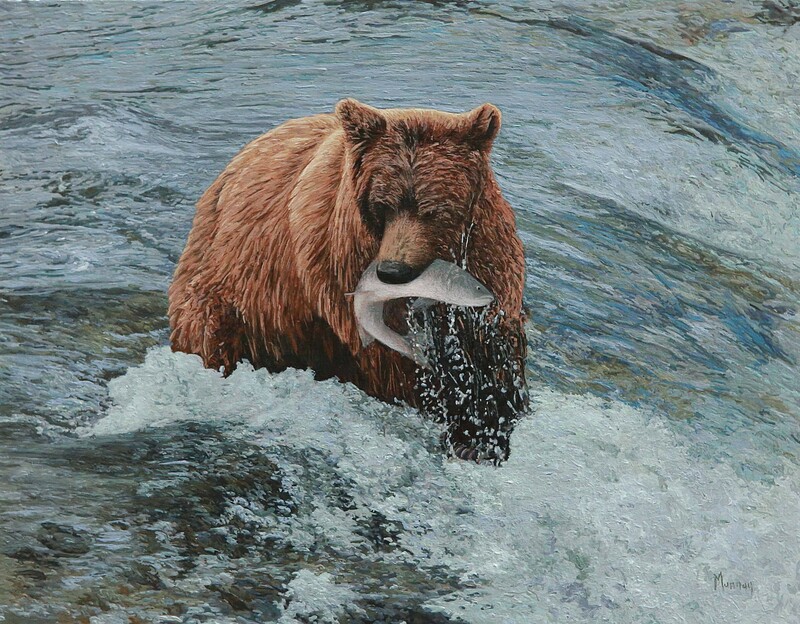 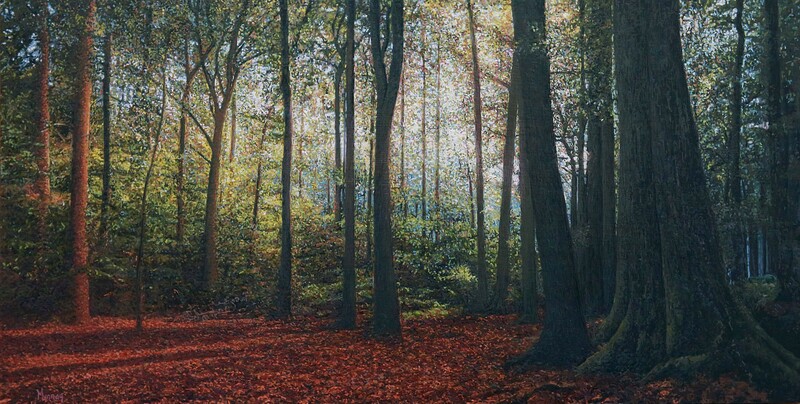 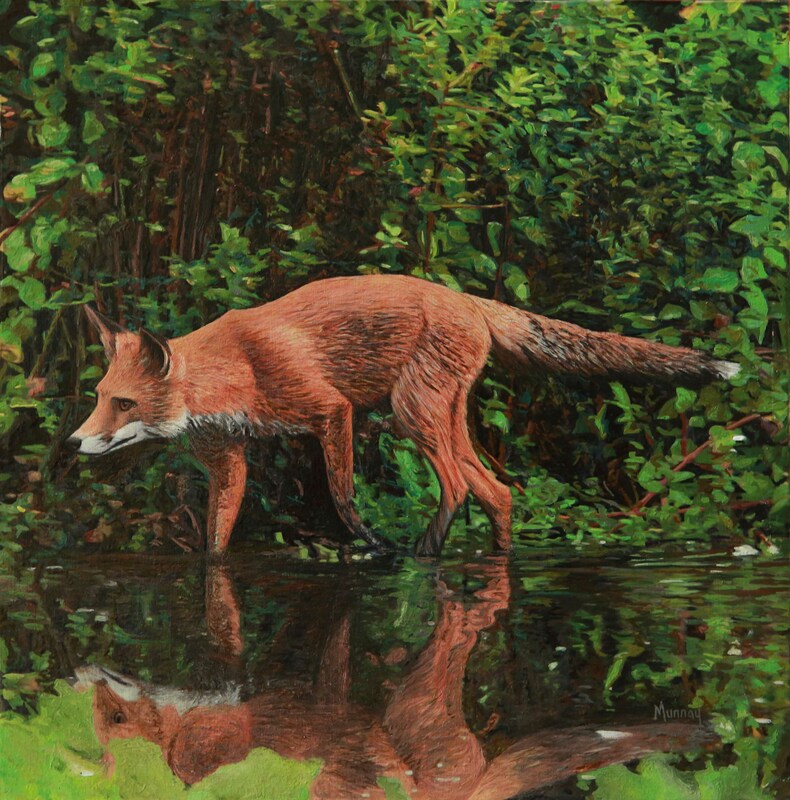 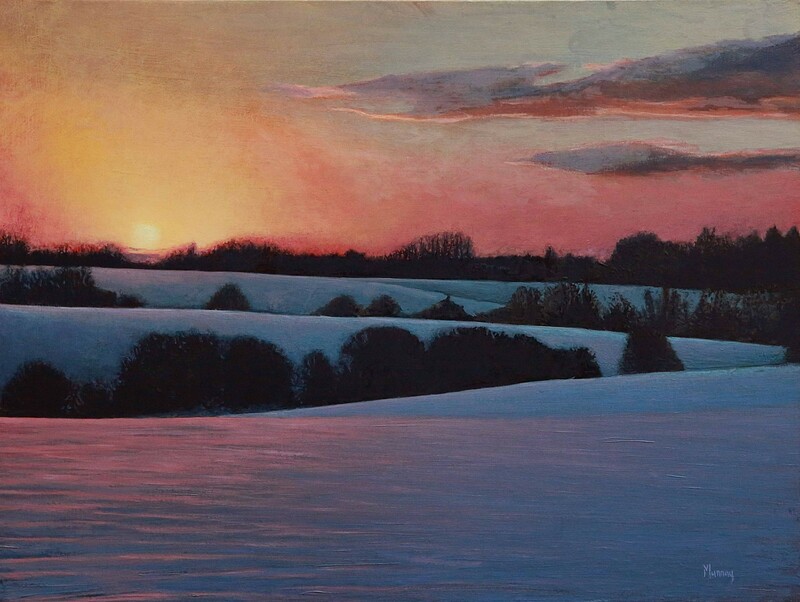 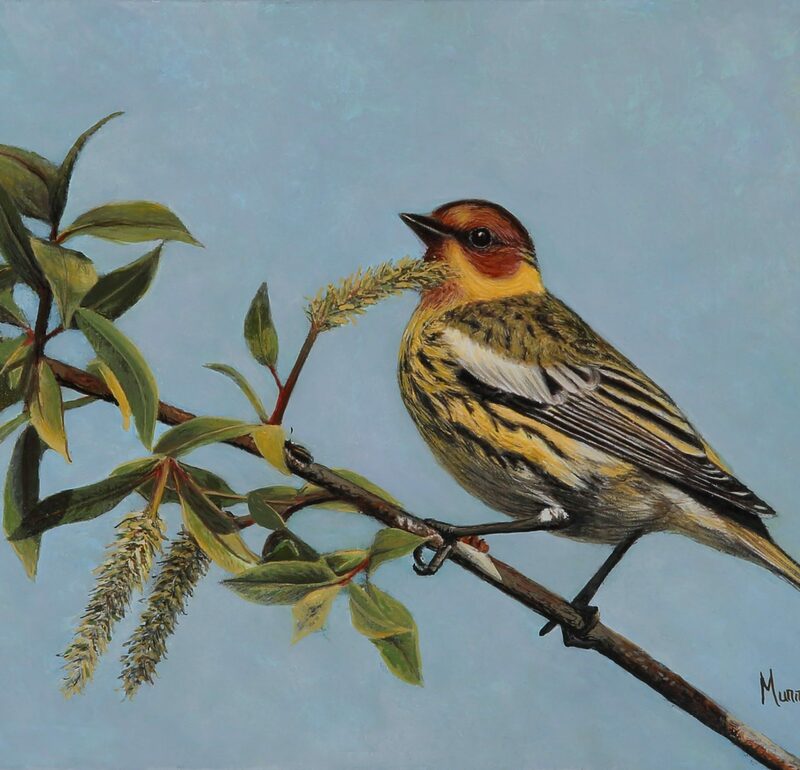 Murray’s approach to the art of expression within the realms of strict photorealism is to create the sensation of personal intimacy within the natural world of her subject. 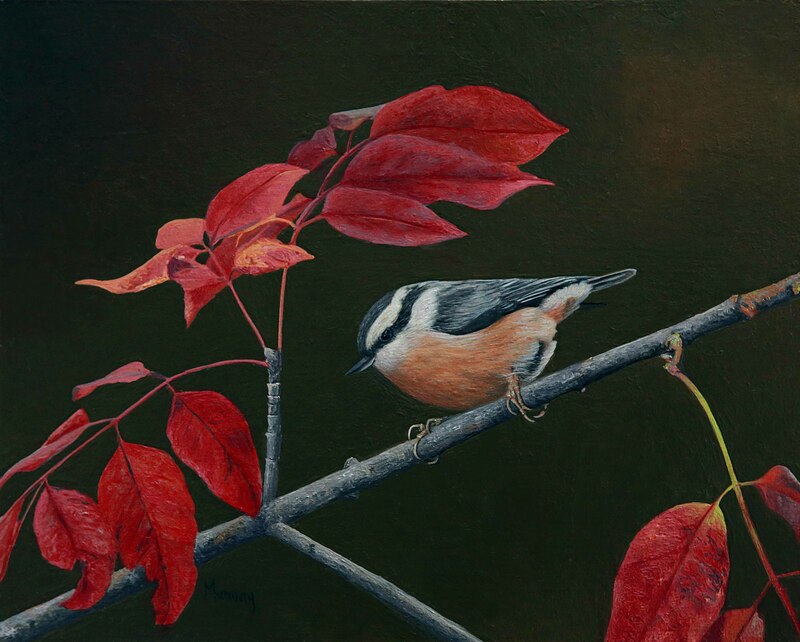 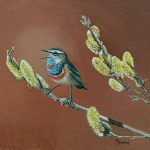 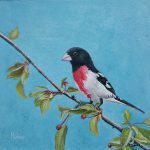 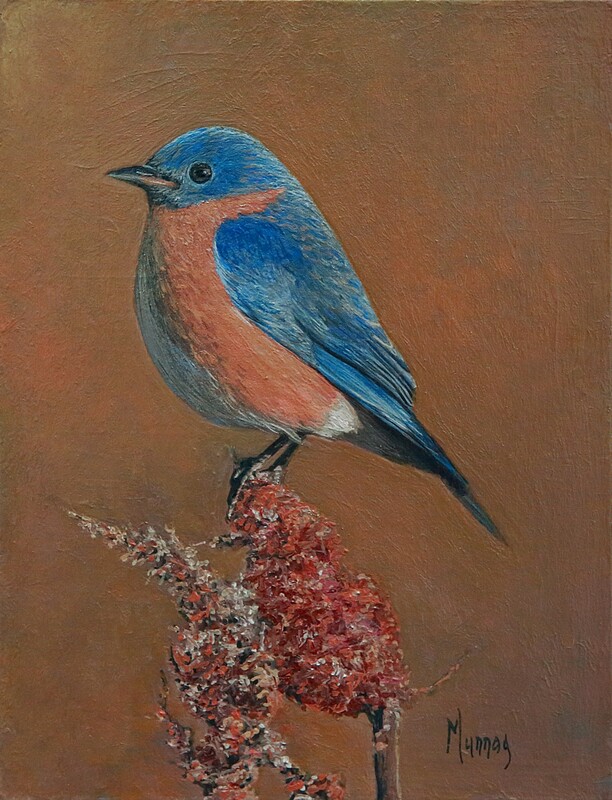 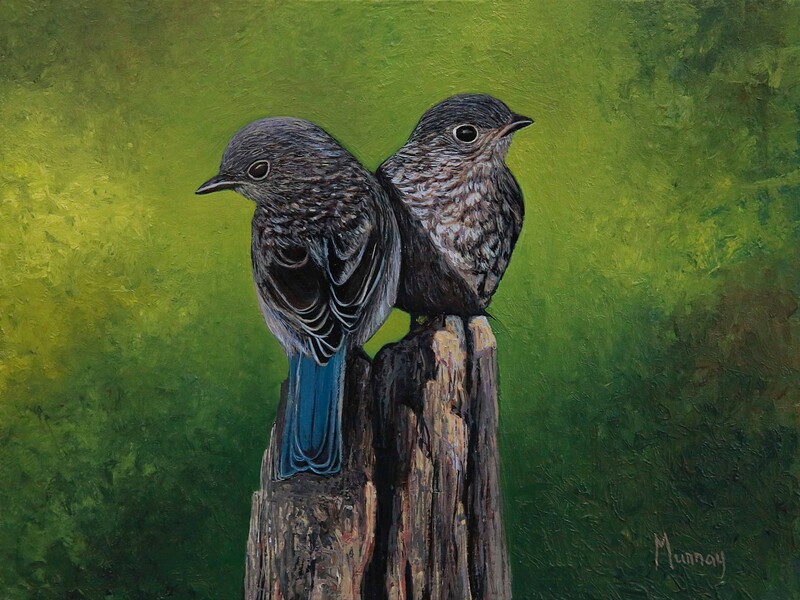 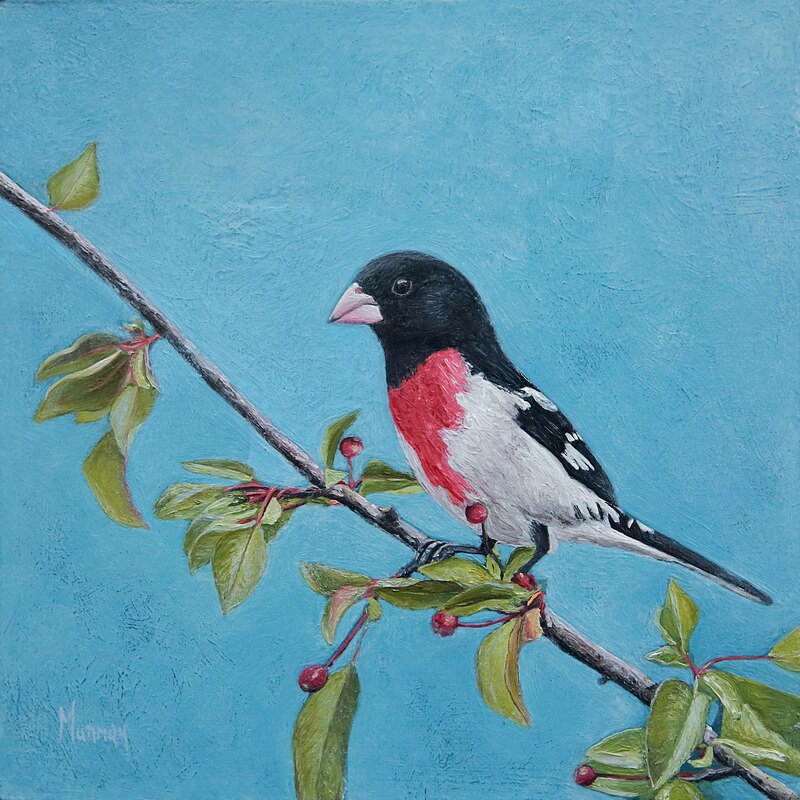 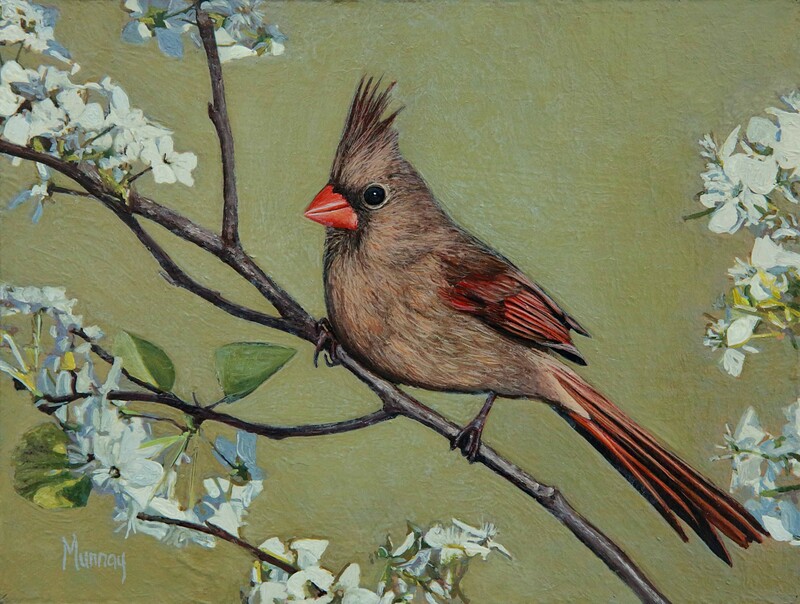 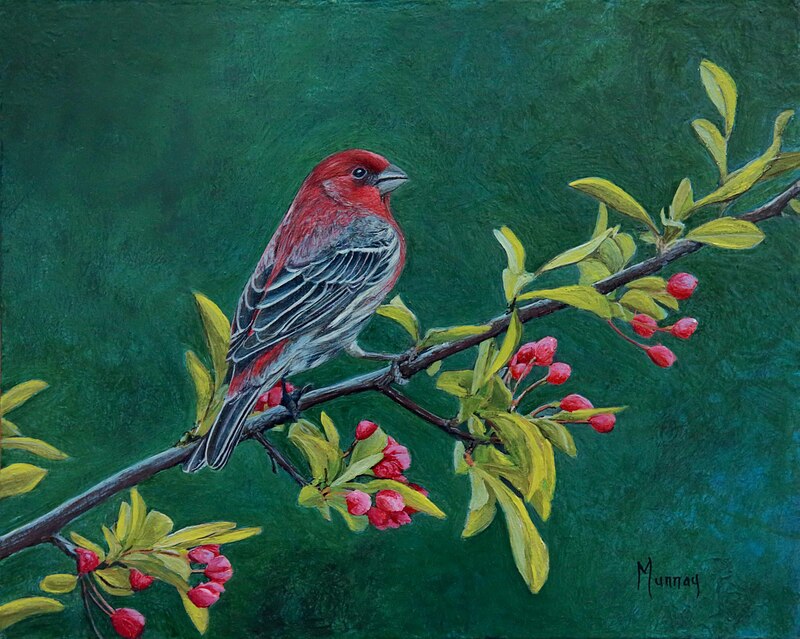 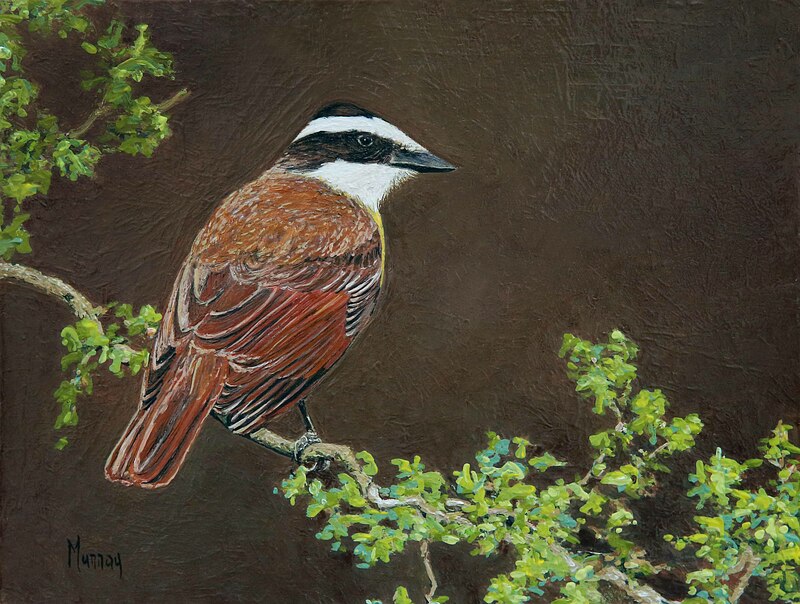 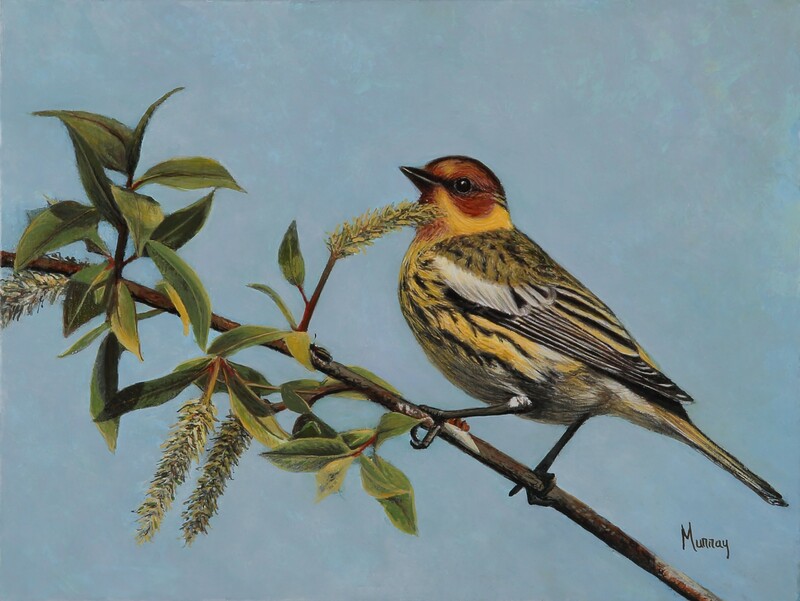 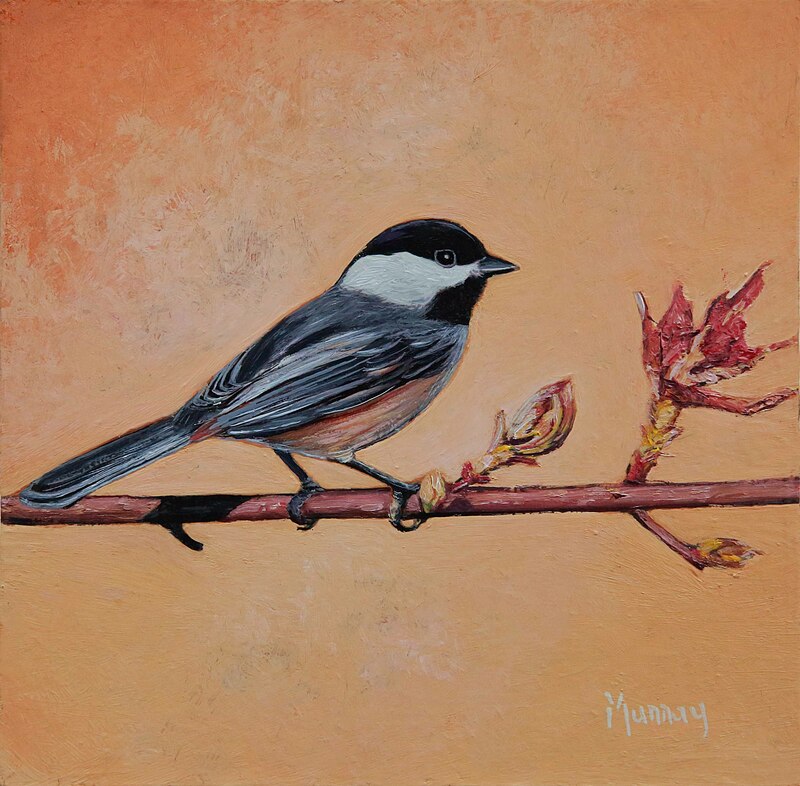 Her pursuit of birds started several years ago and continues with over one hundred paintings now completed. 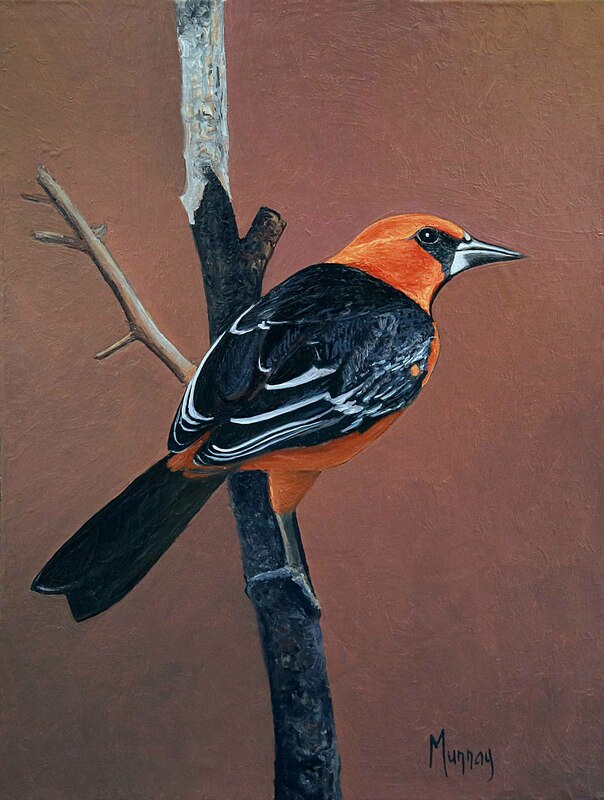 She has participated in numerous fine art shows throughout her career in Florida, Pennsylvania, Arizona, California and Colorado. 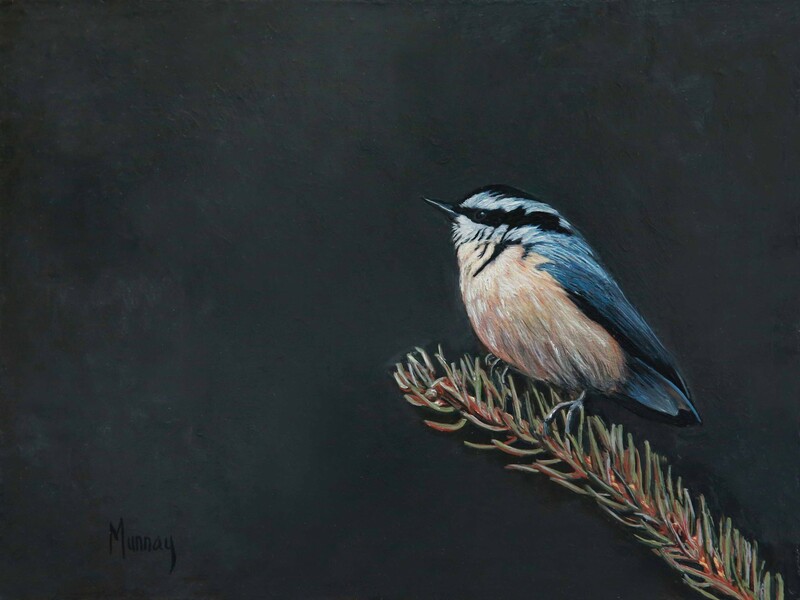 Her work has been collected throughout the United States and abroad, and her latest series of work is now available in a hardbound portfolio book entitled, “Wings.” She is an avid outdoor enthusiast who spends most weekends on a bike, a hiking trail, or camping in the Colorado rocky mountains. 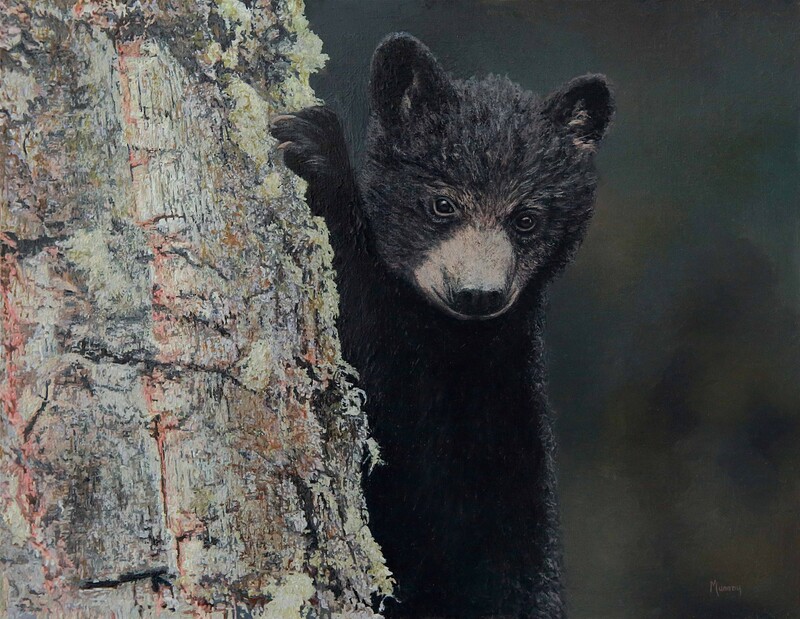 She currently lives in the Black Forest of Colorado. 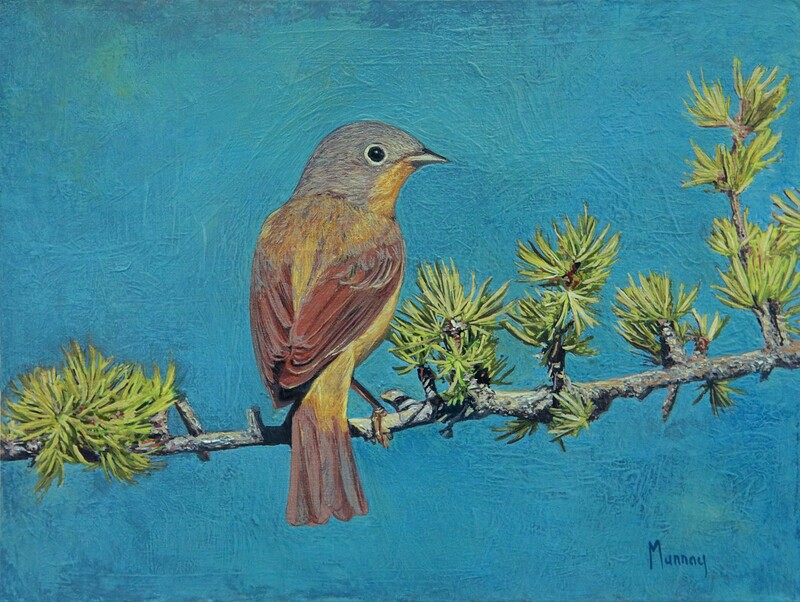 Perhaps one thing of note for our local Colorado Springs community. 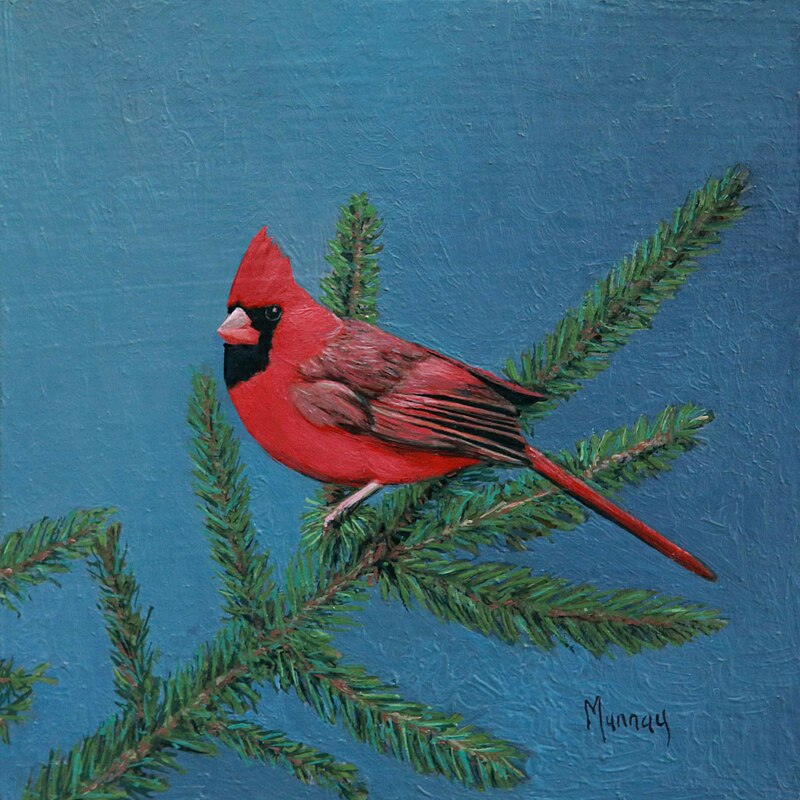 Karla was a student of Charles Rocky and Floyd Tunson (Regionally well known Manitou Springs art teachers who taught within District 11 in the 70’s and 80’s), and Karla attended the Bemis Fine Art at age eight due to a public school scholarship. 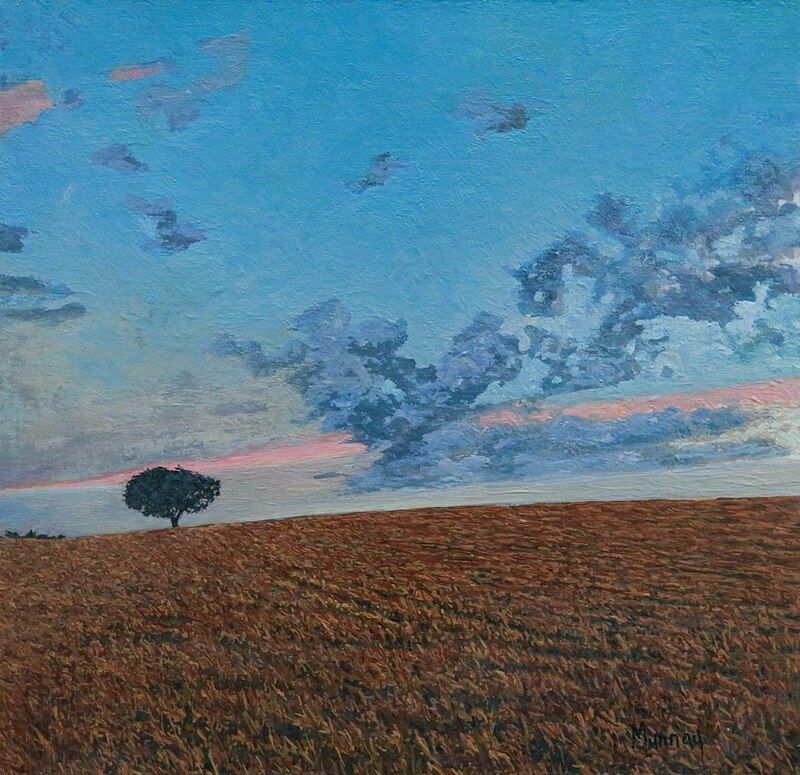 She also attended Pike Peak Community College for a handful of art classes in 200, and from that point forward pursued mastering photo-realism on her own.